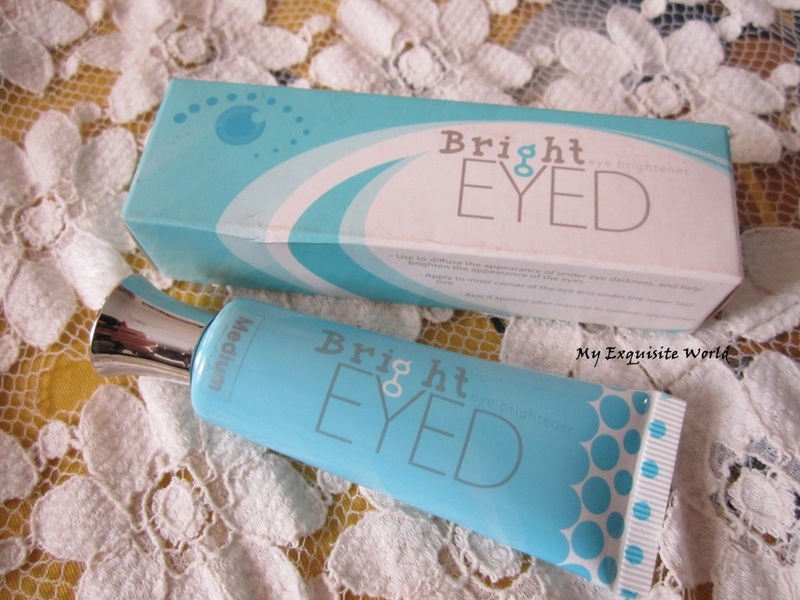 ABOUT:Specially developed to diminish dark circles and minimize the appearance of fine lines, Bright Eyed eye brightener will leave you looking rested and refreshed all day. The lightweight, creamy consistency is perfect for layering underneath or on top of additional products. 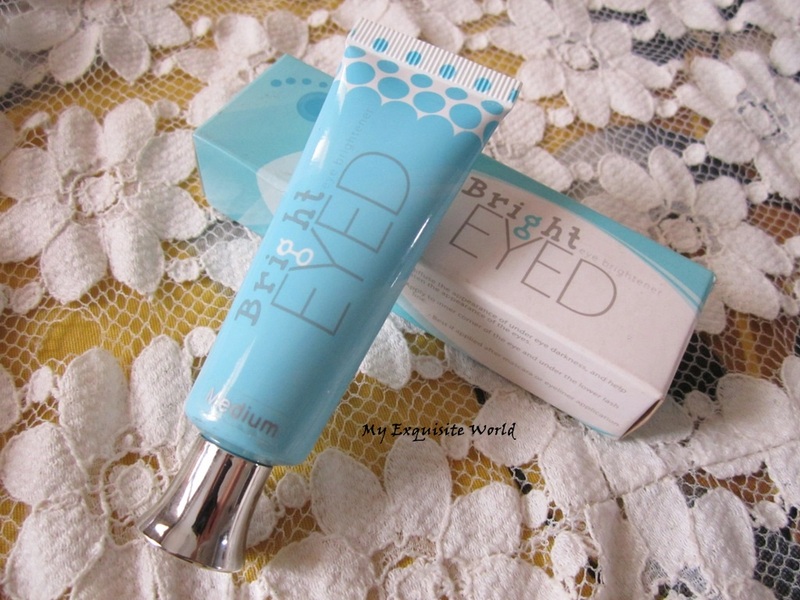 PACKAGING:Coastal scents eye brightener comes in a funky blue colored tube packaging. It has a silver-colored screw on cap with it. 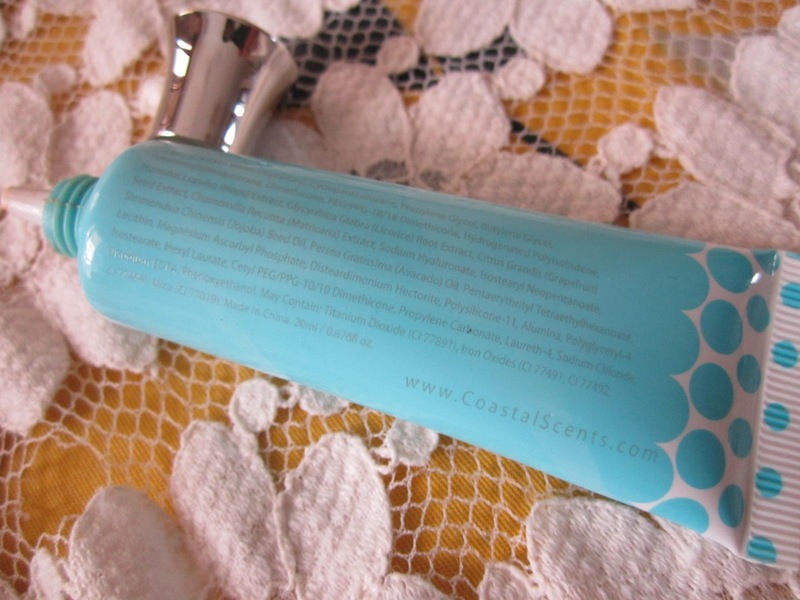 The tube has a nozzle that dispenses accurate amount on squeezing.Complete ingredient list along with usage tips are mentioned in the outer carton.The packaging is travel friendly and easy to use. SHADE:I have the shade Medium which is one tone dark for my skin tone. MY VIEWS:The texture of the brightener is smooth.It is slightly thick but easy to spread and blend.I can blend it using a brush,sponge as well as hands. 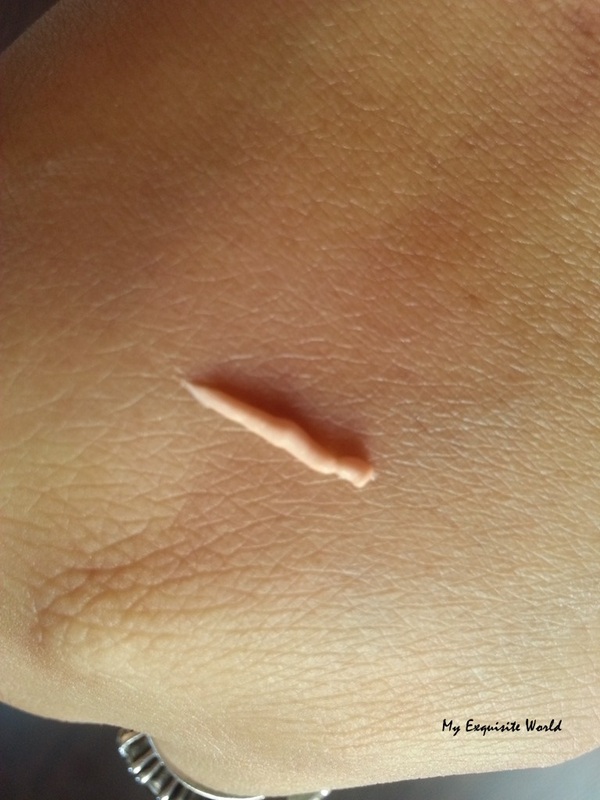 Though I got a darker shade but somehow I managed to use this.This shade has slight orange tones so it is great for concealing.I dab in under the lids,pat it and then apply my concealer.It makes my under eye area flawless.On its own,it is decently pigmented to cover dark circles and brighten up the area if you have the right shade. Once set,it doesn’t move or budge which is amazing.It doesn’t crease or settle int the fine lines of the eyes.I have put this concealer for about 8 hours and my eyes still looked fresh. 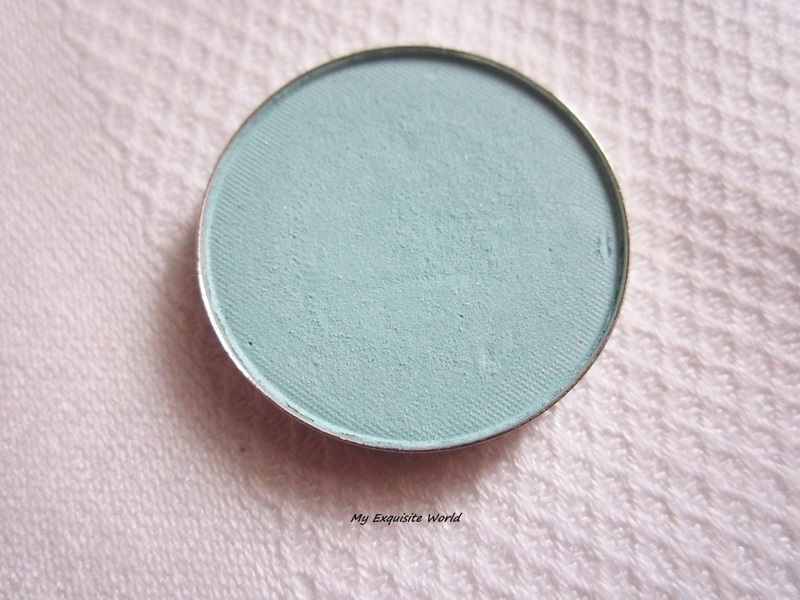 I am definitely going to repurchase this but in my shade. RECOMMENDATION:I am really happy with this brightener.It is super easy to use,travel friendly and I love the effect.The only grudge is the high price. ABOUT:Live out your dream of having a custom eye shadow palette that fits any occasion. To customize your palette, choose from our collection of 377 Hot Pots available in a variety of shades and finishes that are ideal for every skin tone. Our Hot Pot shades are highly pigmented and magnetically attract to our Go Pod, 4 Piece, 12 Piece, and 28 Piece Empty Magnetic Palettes. Unfortunately, these do not magnetize to MAC’s palettes. 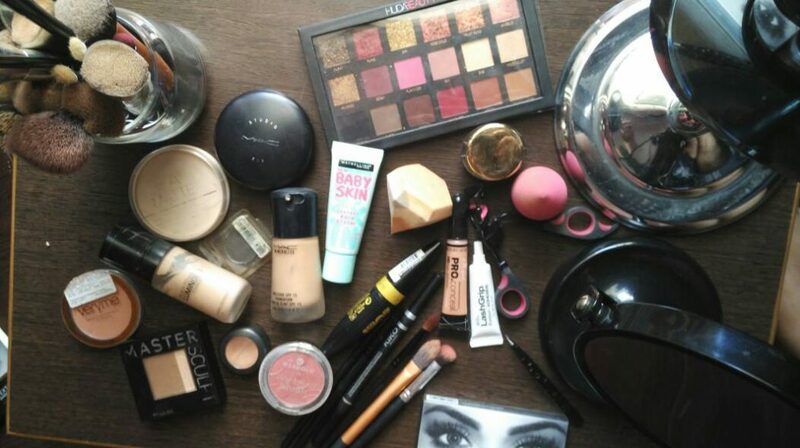 INGREDIENTS: Talc, Mica, Titanium Dioxide, Mineral Oil, Magnesium Stearate, Methylparaben. May Contain: Mica and Titanium Dioxide, Iron Oxides, Ultramarine Blue, Manganese Violet, Chromium Oxide Greens, FD&C Red No.40 Al Lake, FD&C Yellow No.5 Al Lake, FD&C Blue No.1 Al Lake. 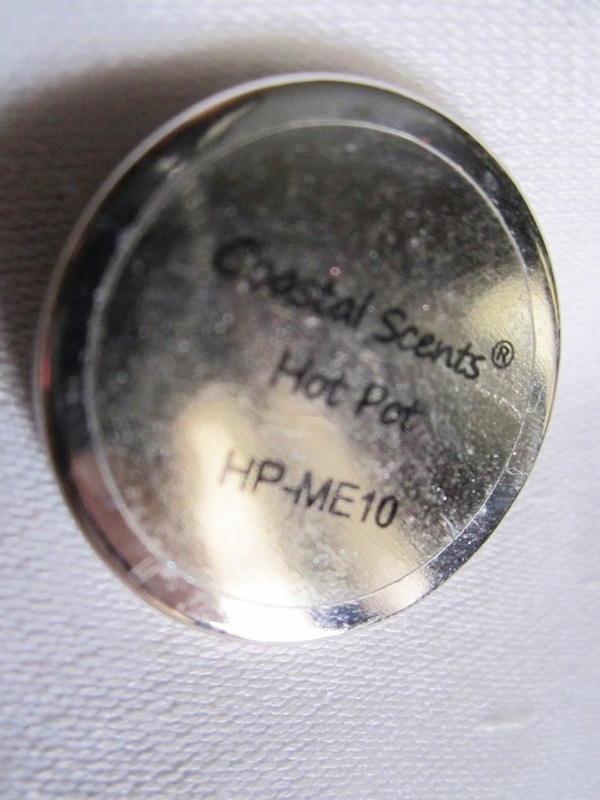 PACKAGING:A 1-inch metal pan that contains a highly pigmented eye shadow for multiple applications. 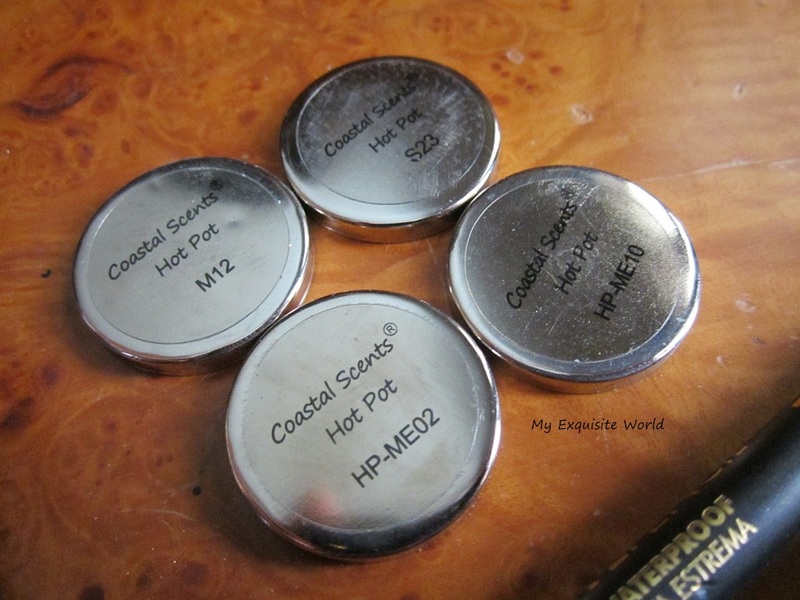 Each Coastal Scents Hot Pot™ fits snugly into one of the Go Pod, 4 Piece, 12 Piece, and 28 Piece Interchangeable Palettes.These are basically like refills that can be customised to form a palette of your own choice.They come in a transparent plastic flap. 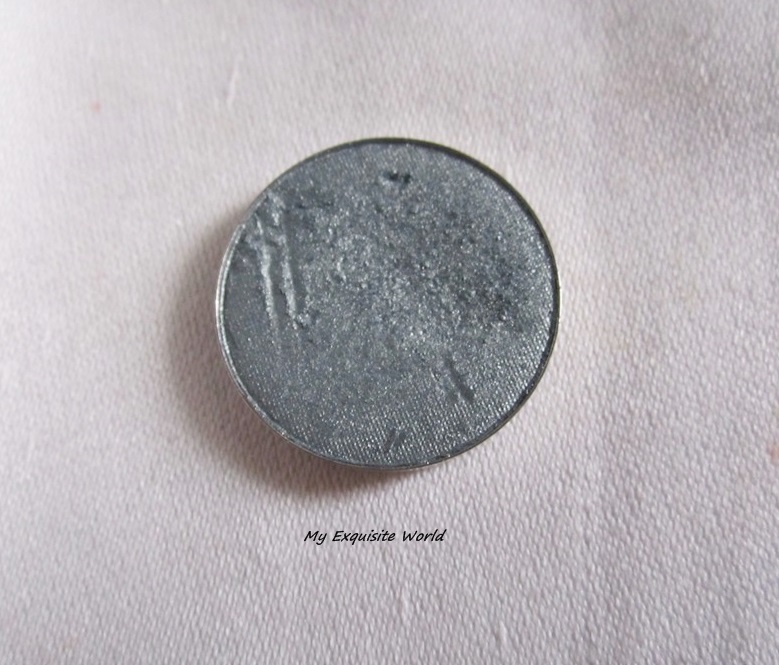 SHADE:As per CS site..Tarnished Nickel is a deep, tainted silver hue with a shimmer finish. 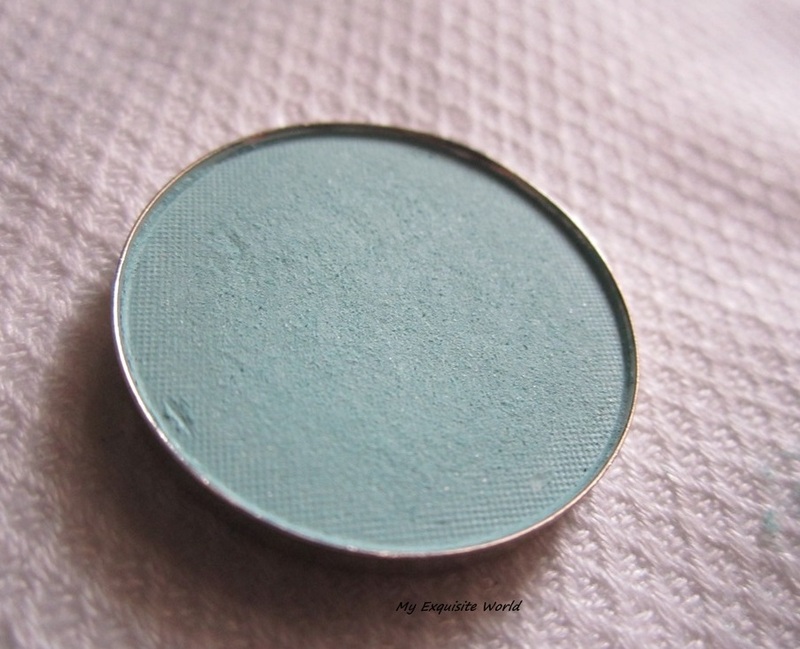 According to me,it is a gorgeous teal shade with metallic finish.It has strong silver hue which makes the color slight duochrome in nature. 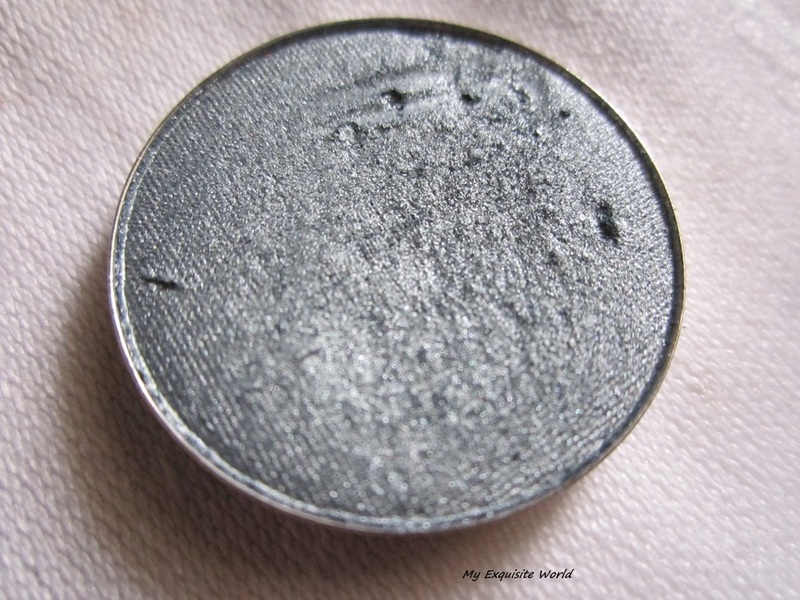 MY VIEWS:The texture of the shadow is very smooth and buttery.It is creamy and glides on easily onto the lids.The shade has shimmer in it but is finely milled and has very less fallout. 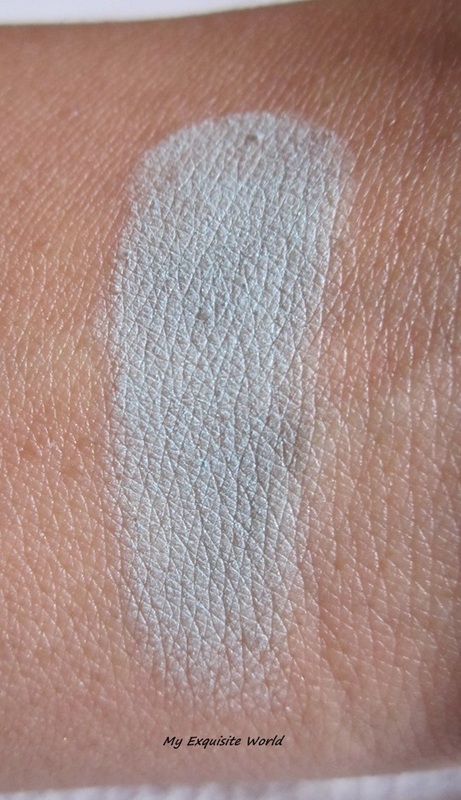 It is easy to pick the shade in a single swipe of brush and apply and blend softly on the eyes. 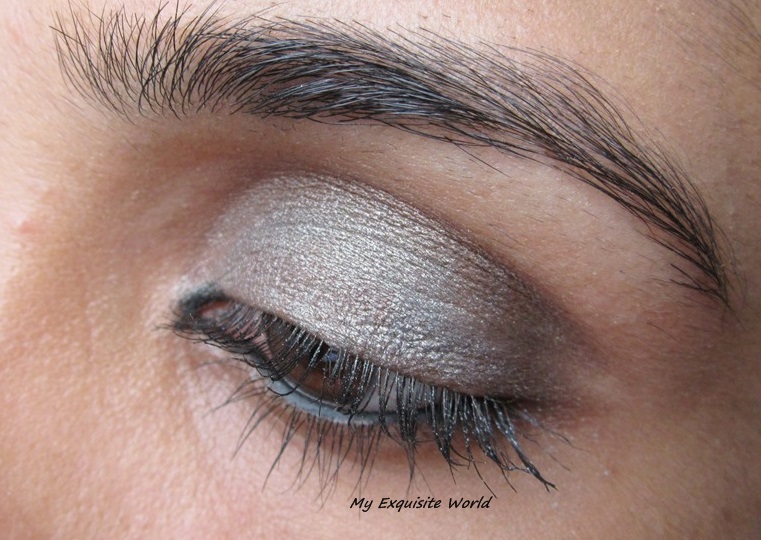 Tarnished Nickel is highly pigmented and one swipe imparts decent amount of shade on lids which can be intensified further.It generally use the shade with foiling method as it adds more dimension to the look.The shade blends nicely with other shadows of different texture. It stays for about 4-5 hours on my medium oily lids and for 6-7 hours over primer.It doesn’t fade or crease which is a great advantage. RECOMMENDATION: This is a must have brand and the shade is such that can be used with many looks.CS provides good quality products at great prices.The only disadvantage is the availability. 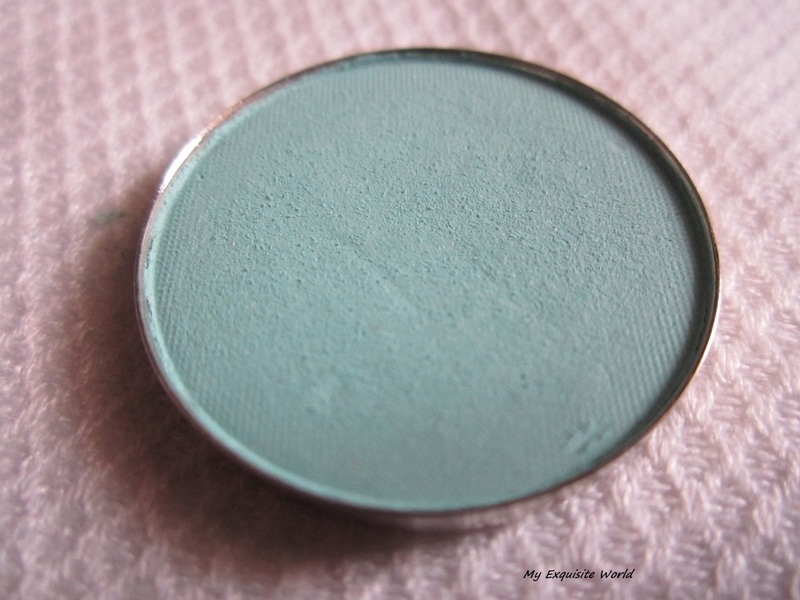 MY VIEWS: Aqua is a matte finish eyeshadow.It is finely milled but has little fallout.The shade isnt chalky and glides on smoothly without being patchy.It blends beautifully and is easy to use upon a base and with other shadows of different texture. 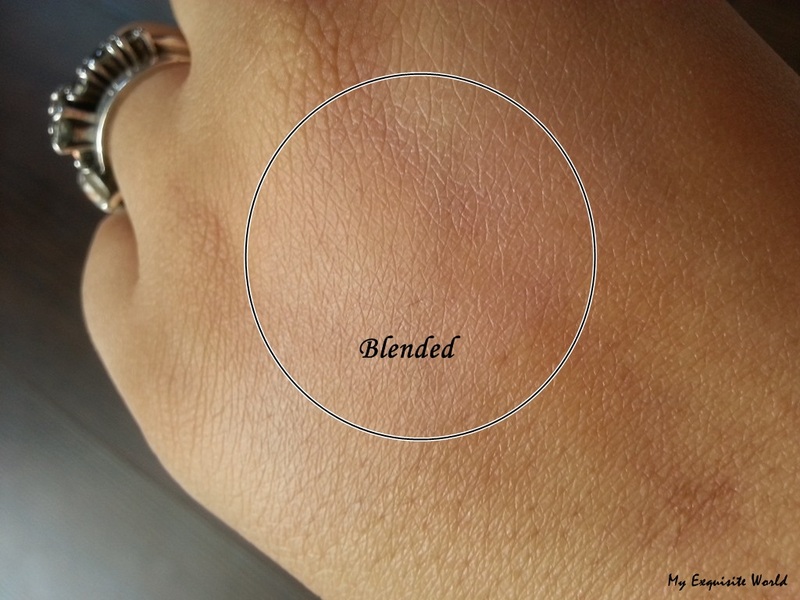 The shade is decently pigmented.One swipe is sheer but buildable to full coverage in another swipe.It says for about 5-6 hours over primed lids and doesn’t look ashy.I love this shade as it is subtle yet adds a pop of colour on lids. RECOMMENDATION:Aqua is my new favorite and I am using this shade a lot these days.I highly recommend checking this shade out. 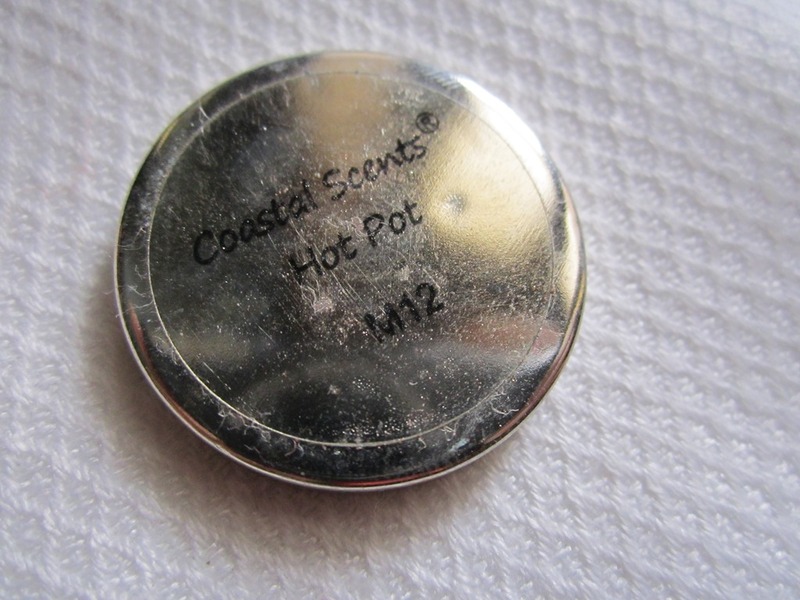 I have used coastal scents hot pots for this look..
1. 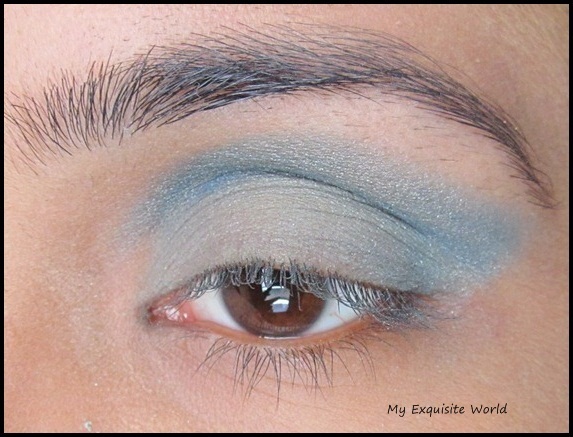 Apply a matte aqua blue shade on 2/3 rd of the eye lid. 2. 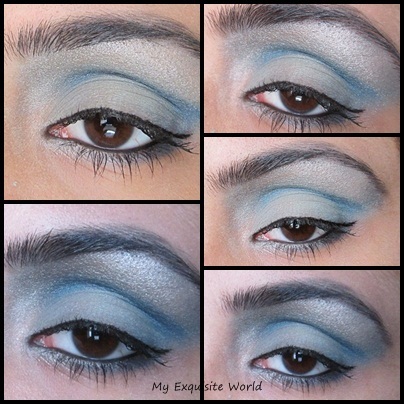 Apply a deep blue(any dark shade of blue) on the crease defining the crease. 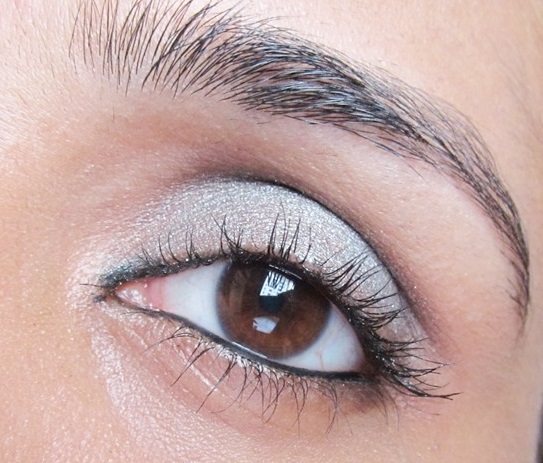 3.Now ,i used a teal metallic blue shade in the outer corners of the eyelids. 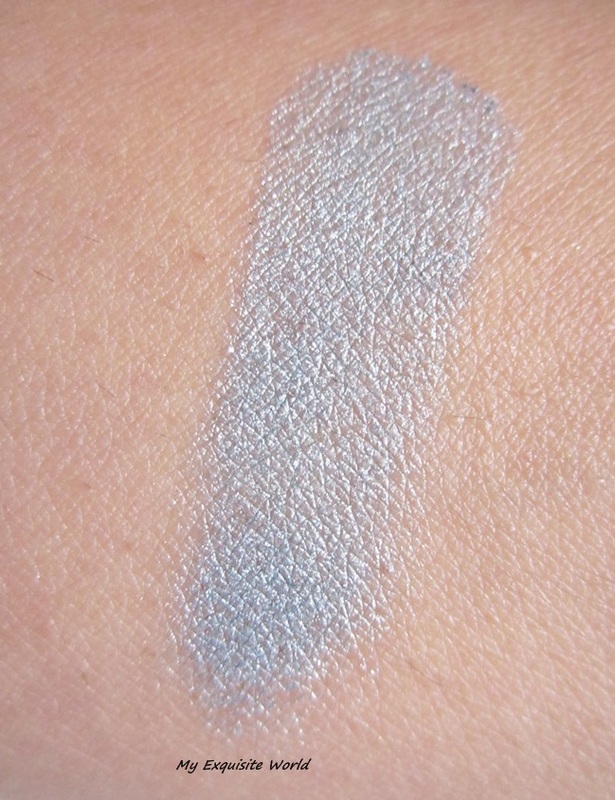 4.Using the same shade,i blended out the deep blue shade slightly above the crease.It looks a bit messy here but a highlighter shade will blend out all the uneveness. 5.Next,i applied a shimmery taupe shade for highlighting the brows.It goes very well with the blue shades used.Blend the shade with the darker shade to create harmony. 6. 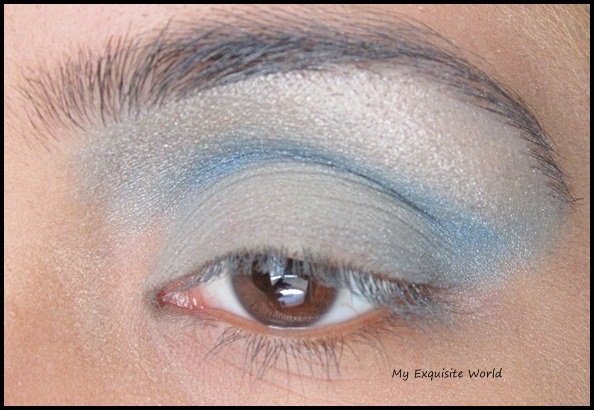 I defined the crease by adding the same deep blue shade again. 7. Define your brows.I used this matte brown shade from Oriflame beauty trio.It suits me a lot.I tightlined my wayerline and you can now notice the difference!! 8. Draw a thinnest possible line across the lids.Add coats of mascara and voila!!!!!!!!!!!! I created a collage of the look..hope you like it!! ~CS hot pot ME 02. ~CS hot pot ME 10. ~Deborah milano hi tech mascara. 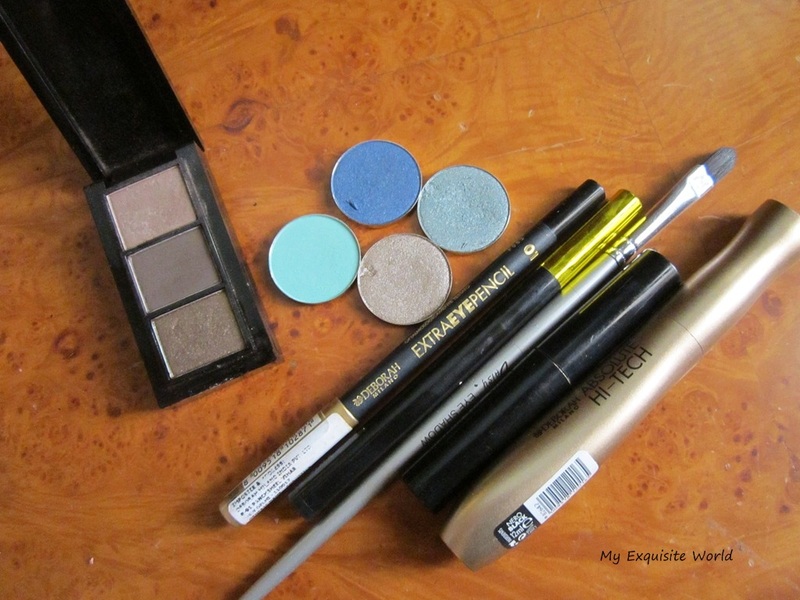 ~Deborah milano extra eye pencil 01. 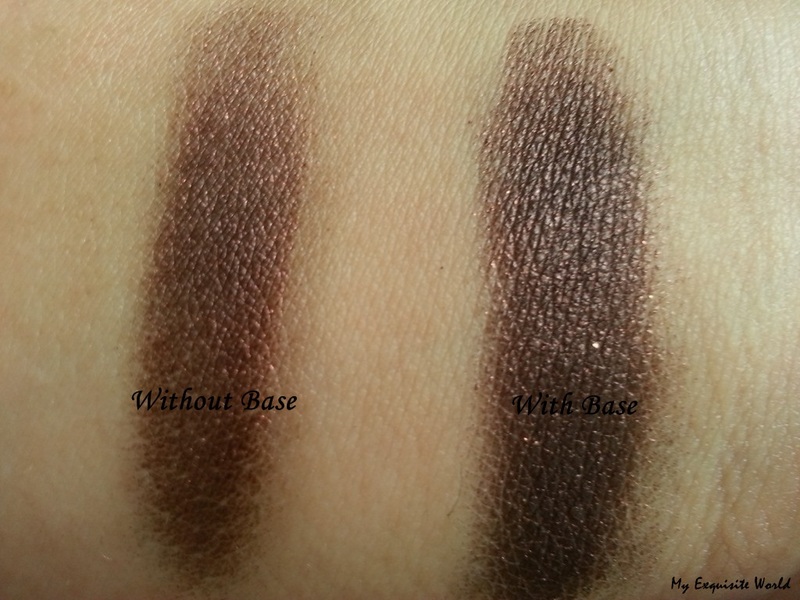 ~Oriflame beauty trio shimmering bronze. Hope you like this look..do comment and share your views!!! PRODUCT INFORMATION:Construct the perfect canvas for eye shadow application with our Shadow Worx Matte Primer. This lightweight, creamy primer appears opaque upon application and is ideal for those with oily lids, uneven skin texture or anyone who experiences creasing or fading. Shadow Worx creates a smooth finish allowing eye shadow to be vibrant, crease and fade proof all day long. The convenient squeeze tube and slim tip allow for precise disbursement of product, down to the very last drop. 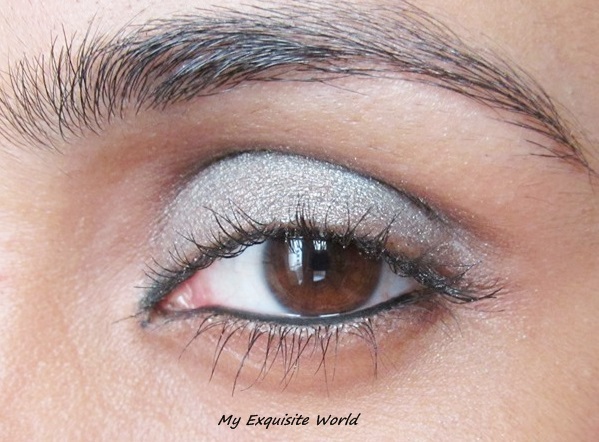 For best results Shadow Worx Primer should be applied in a thin coat over the entire lid and allowed to dry slightly before eye shadow application. One is matte that i have. The other one is shimmery. PACKAGING:The packaging is simple with a metallic silver packagign having a nozzle for ease in dispensing the product. 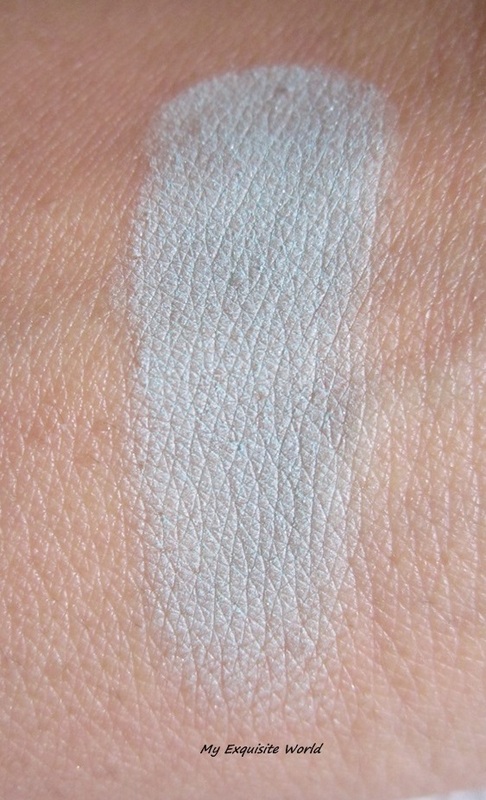 THE PRIMER SHADE:The shadow worx primer(matte) has a slight peach tint but becomes transparent on application. 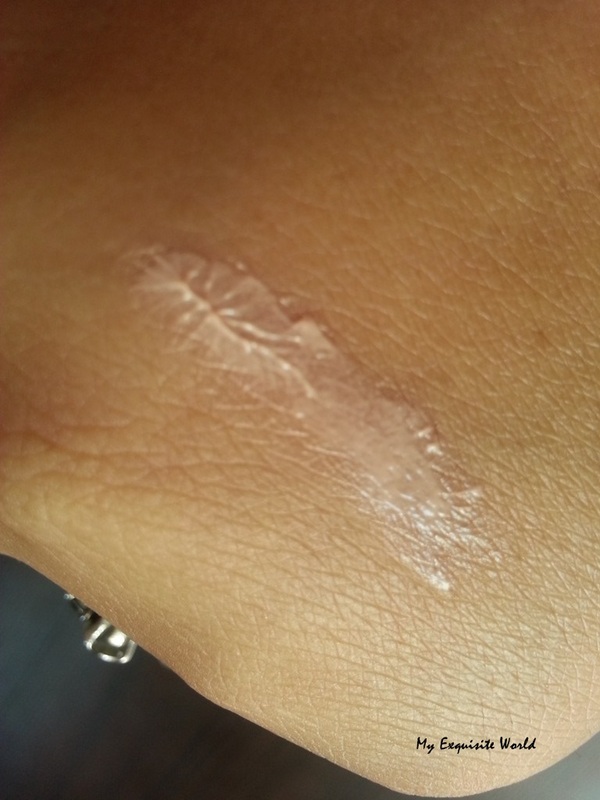 FORMULA & OVERALL PERFORMANCE:The formula is very creamy and blends easily on skin. 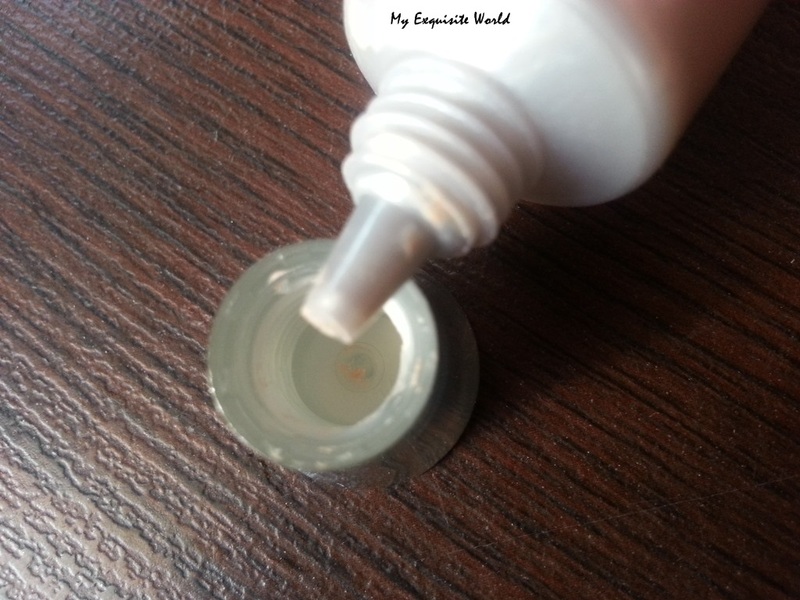 It has a silky finish.On application,you can feel some stickiness but that goes away once the primer sets. Only a small amount is required and a little goes a long way. It definitely increases the pigmentation of the eyeshadows and helps them adhere to lids for a longer time without creasing or fading. 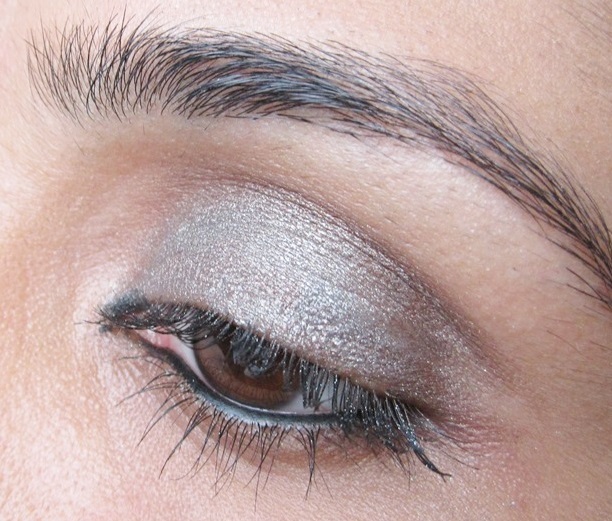 The staying power of the shadows is increased and they stay for about 5-6 hours on my oily lids. the nozzle helps in dispensing the right amount of product needed. 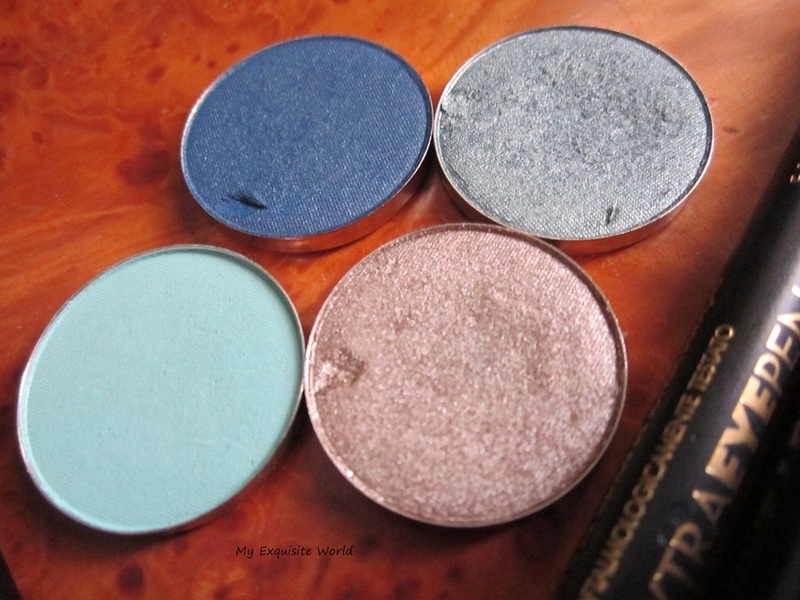 increases the staying power of eyeshadows. can be sued with matte as well as shimmery shades. 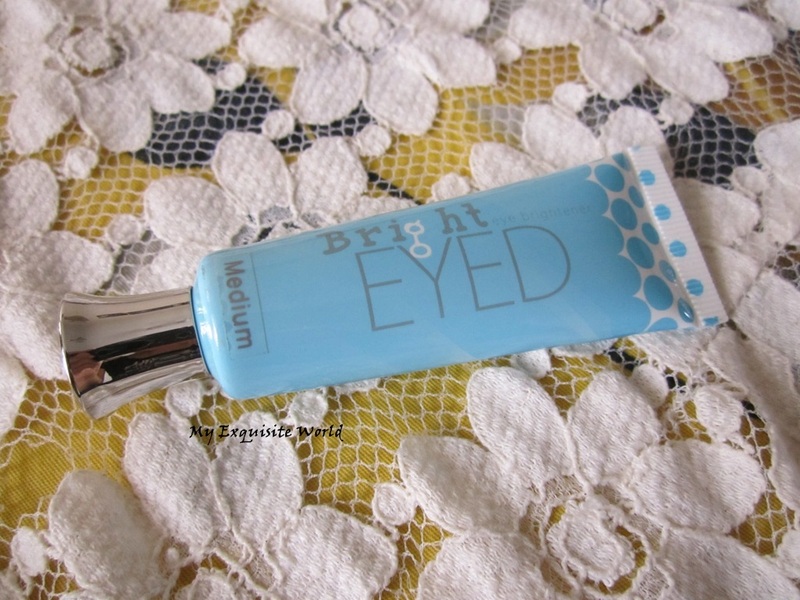 RECOMMENDATION: This is a great eye primer at a dcent price.I would recoomend trying this if you can get hands on this.It is a great product.